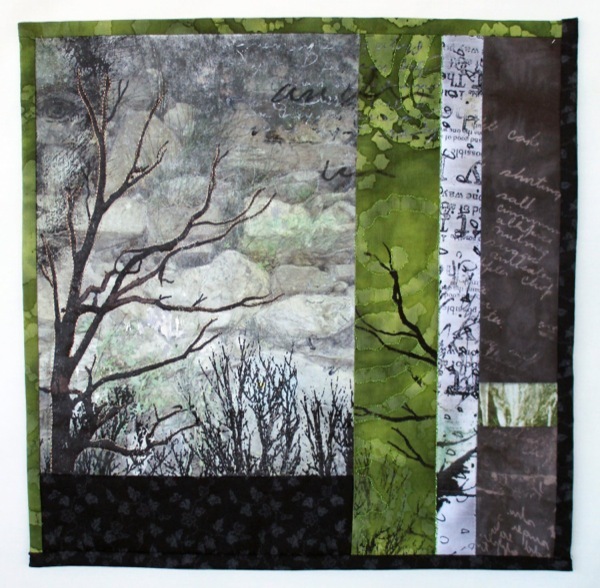 Prices on this page include shipping and handling in continental US. These small pieces of wall art reflect my passion for surface design and use many of the processes I love to do. They are purposely small making them very versatile. 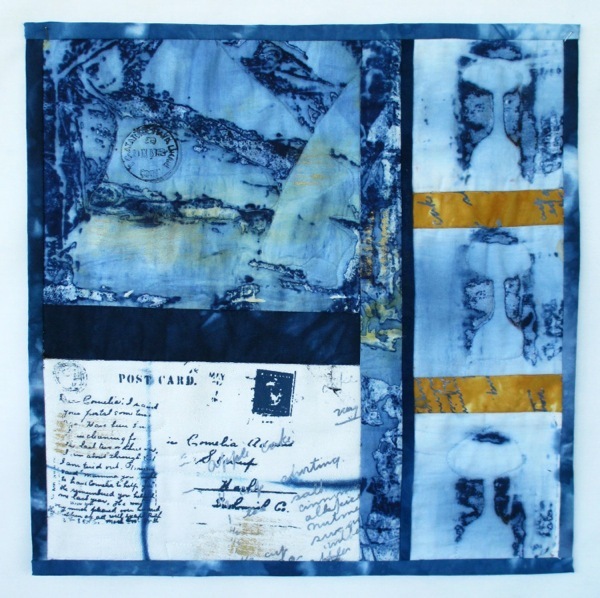 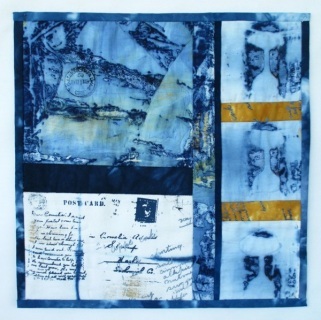 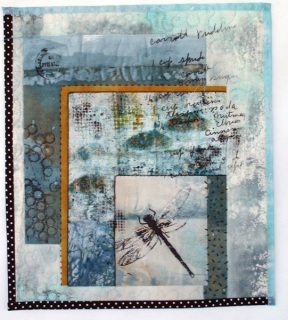 12" x 12" Hand dyed and screen printed fabric featuring a dragonfly, writing and hand stitching. 12" x 12" Hand dyed and screen printed fabric featuring writing, mushrooms and other imagery. 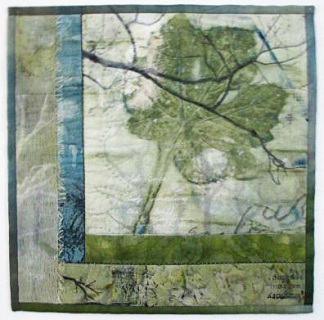 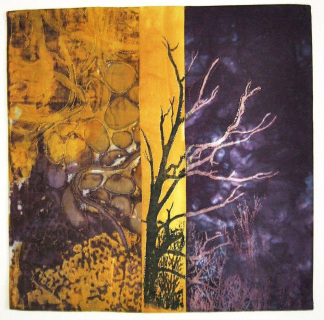 Hand dyed fabric, acrylic medium transfer and screen printed fabric featuring trees and writing.